I was delighted to host We Should Cocoa this month, thank you so much to all those who linked up delicious gluten free chocolate treats and to Choclette who asked me to host. Kate from Happy Igloo baked this delectable Chocolate Orange Roll, perfect for an impressive dinner party dessert. Catherine who blogs at Cate's Cates made some allergy friendly Two Ingredient Chocolate Tahini Shortbread, great for parties and lunchbox or afternoon tea treats. 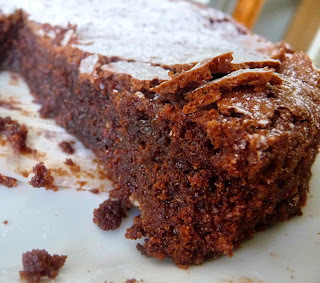 Ros the More Than Occasional Baker adapted a recipe to bake Flourless Chocolate and Raspberry Brownies, great for baking with kids and deliciously gluten free. 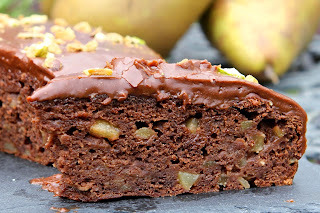 The Gluten Free Alchemist baked a scrumptious Pear and Chocolate Cake using local produce and a perfect treat with a cuppa for afternoon tea. BakeNQuilt made these fabulous Chocolate Marshmallows which would make great gifts for friends or an afternoon snack treat. Another sweet treat was made by Green Gourmet Giraffe, Black Bean and Cacao Fudge. 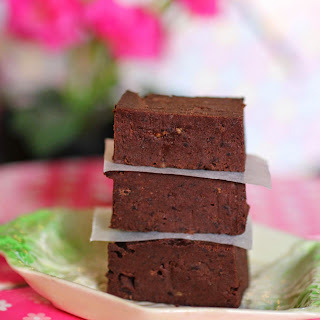 A vegan, soy free and grain free recipe and the fudge looks so very tempting. Cake Boi made these Top Hats, perfect for parties, cake sales or a fun afternoon tea/lunchbox treat. My daughters have begged me to let them make some. 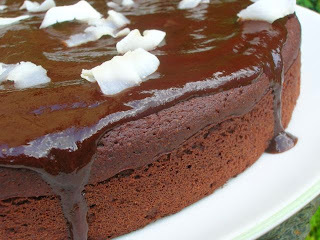 The creator of We Should Cocoa, Choclette, baked a Coconut Chickpea Chocolate Cake which is free from eggs, diary, wheat, gluten and refined sugars and looks absolutely scrumptious. Mainly Baking made a dairy free and gluten free Pear, Almond and Chocolate Chip Cake which looks delicious and would also make a delicious pudding. Lancashire Food baked this decadent and scrumptious Amaretto Chocolate Torte, great for afternoon tea or an impressive dinner party dessert. 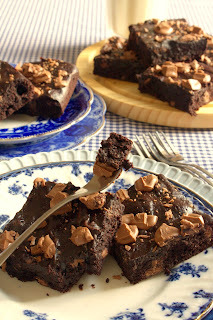 Laura from I'd Much Rather Bake Than . . . . made some Five Ingredient Dark Chocolate Brownies which look very fudgy and delicious. I'm sure I could eat at least a couple whilst enjoying a cuppa. Alexandra, The Lass in the Apron, created a recipe for these Date Cashew Chocolate Drops which are a perfect lunchbox or afternoon tea treat. Nutty Tart baked a Chocolate Truffle Cake with Chocolate Truffle Frosting, great for a tea party treat, decadent dessert or bake to impress friends. Elizabeth's Kitchen Diary made Gluten Free Chocolate Mug Cake, a fab dessert treat which is super quick to make and delicious too. 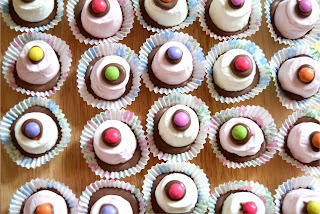 Thie KitchenMaid baked Gluten Free Chocolate Cakes, perfect for kids lunchboxes or an afternoon tea treat. There were SO many delicious, scrumptious and mouth watering entries this month! I can't wait to see what the challenge will be next month. Thanks again to all those who linked up. Mmmmm chocolate! 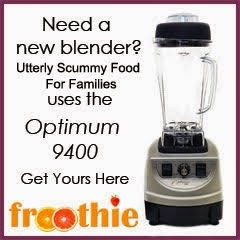 A lovely selection of recipes!! Wow!!!! I'm sooooo excited...... I can eat all of these! I have just bookmarked nearly all of them....... Thanks for a great round up and a great challenge! I misread the announcement, I thought they were chococlate gf traybakes rather than just GF chocolate. Ah well I must pay more attention next time.